The EC's High Level Panel on the Measurement of Innovation which includes UNU-MERIT scholars Bronwyn Hall and Hugo Hollanders, has delivered its final report to the Commission. The Panel concluded that there is an urgent need to improve data availability and the breadth and quality of indicators to measure and monitor innovation performance, ranging from technological innovation to other forms of innovation (e.g. public sector innovation). 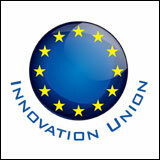 It explored two options: a list of three immediately available indicators (based on patent applications, the contribution of medium-high-tech and high-tech products to the trade balance, and employment in knowledge-intensive activities) and a single indicator (reflecting the successful development and dynamism of innovative entrepreneurial activities). While business demographics data are, in principle, available, the development of such indicator to measure the share of fast-growing, innovative companies in the economy would require further work, which could take two years.